Posted on October 3, 2018 at 9:12 pm. 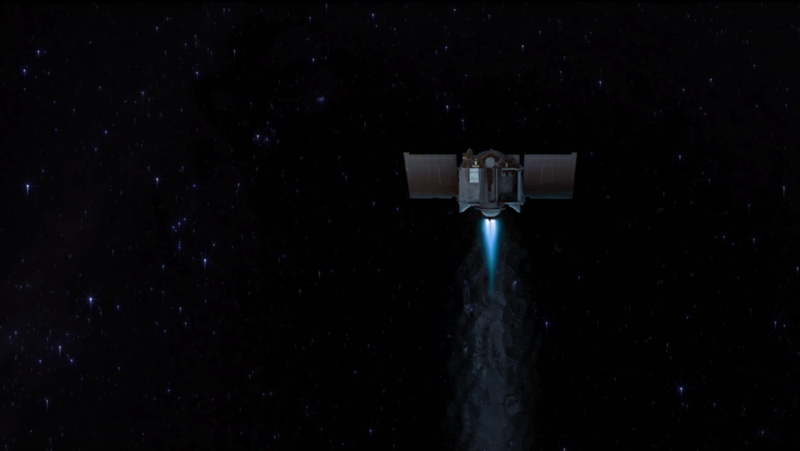 NASA’s OSIRIS-REx spacecraft executed its first Asteroid Approach Maneuver (AAM-1) today putting it on course for its scheduled arrival at the asteroid Bennu in December. The spacecraft’s main engine thrusters fired in a braking maneuver designed to slow the spacecraft’s speed relative to Bennu from approximately 1,100 mph (491 m/sec) to 313 mph (140 m/sec). The mission team will continue to examine telemetry and tracking data as they become available and will have more information on the results of the maneuver over the next week. NASA Goddard Space Flight Center in Greenbelt, Maryland, provides overall mission management, systems engineering and safety and mission assurance for OSIRIS-REx. Dante Lauretta is the mission’s principal investigator at the University of Arizona, Tucson. Lockheed Martin Space Systems in Littleton, Colorado, designed and built the spacecraft. OSIRIS-REx is the third mission in NASA’s New Frontiers Program. NASA Marshall Space Flight Center in Huntsville, Alabama, manages New Frontiers for the agency’s Science Mission Directorate in Washington. OSIRIS-REx launched from Cape Canaveral Air Force Station in Florida on September 8, 2016, on a United Launch Alliance (ULA) Atlas V 411 rocket.